Fresh produce is coming back into season for spring. Lighten up your meals this week with versatile, healthy butter lettuce recipes perfect for lunches on the go. First up is a Simple Butter Lettuce Salad that’s perfect as a side for lunch or dinner. Whip up these easy and light Buffalo Chickpea Lettuce Wraps for a meatless meal. Green Dragon Apple Salad with Butter Lettuce, Blue Cheese Crumbles, and Walnuts is a perfect lunch. 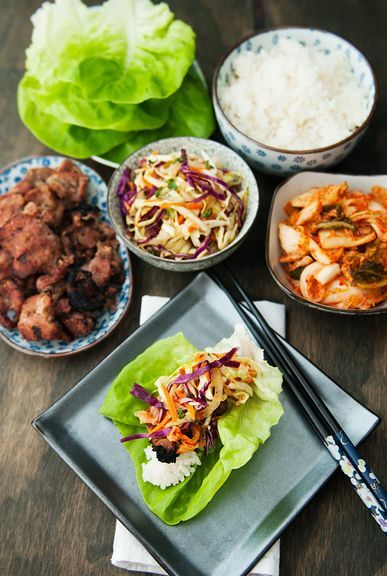 Korean Barbecue Pork Lettuce Wraps are a hearty and filling dinner your family will love to assemble. 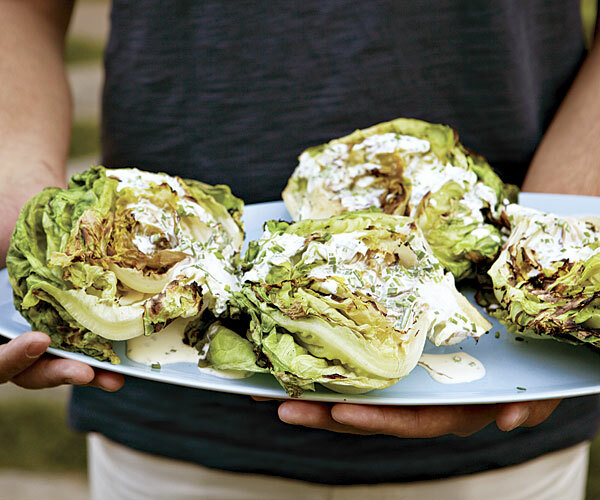 Save this Grilled Butter Lettuce with Buttermilk Chive Dressing for summer get-togethers. Crunchy BBQ Chickpea Lettuce Wraps are a light way to enjoy your favorite flavors. Crunchy BBQ Chickpea Lettuce Wraps. This Favorite Green Salad is a perfect staple to serve with all your favorite spring dishes. Even after you’ve gotten ready to head to the store, grocery shopping on a budget for healthy meals can be hard. But there are some things you can do to make it easier. Keeping your kitchen stocked with certain key things can make cooking easy. This list has some items that are perfect for this. And this article has some healthy foods perfect for your pantry that only cost about $2. Having this stocked pantry will help you throw together meals fast, help you save on packaged or premade meals you might’ve grabbed in a hurry, and make shopping easier. Once you’re at the store, you should try to shop the outer edge of it as much as possible. The outer edge usually has the fresh produce, like fruits and veggies, meat, dairy, bread, and frozen food. It’s typically the inner aisles that are full of boxed and processed foods. It’s recommended that you eat 5 servings of veggies a day, so it’s important to really use that part of the store. With that in mind, fruits and veggies, fresh or frozen, should take up about a third of your cart on each shopping trip. At the farmers market, you have to buy what’s in season, but at the grocery store, there are lots of choices. But when you buy what’s in season, you can save a lot, and your food will be the tastiest and freshest it can be. This list can help you find what’s in season when. With certain go-to things your family will always use, like apples, oranges, potatoes, and onions, buying them in the big bags when they’re in season can help you save even more. Canned and frozen fruits and veggies are picked while they’re in season and tasting best, and they’re good for you, too. So instead of buying fresh peas when they’re not in season, stock up on frozen ones to save and get the best flavor. Plus, they last much longer. Canned veggies and broths are perfect for easy soups and stews, and canned fruit makes great fruit salad and snacks for the kids. Avoid a lot of the packaged and processed foods in the center of the store. Cookies, candy, chips, crackers, and soda are all high in things you don’t want, like sugar, salt, and bad fats, and low in things like protein and nutrients. They’re also expensive. Be careful you don’t get fooled by things that just call out wheat. Instead, look for whole grains and whole-grain breads. Yogurt and cheeses are great sources of protein, as are beans and other legumes, which you can find dried or canned. Cereals are one of the top foods for hidden sugar. Look for ones with little or no sugar. You can always add honey to flavor it in the bowl. Also look for cereals high in fiber to start your day right. If you want to try a new grain, nut, or dried fruit, the bulk aisle with bins is a great way to taste test. Scoop out a small bag for your family to taste before buying bigger servings. Make the most of your trip by paying attention to how your store organizes things, their price tags, and food labels. Stores oftentimes stock the most expensive things right where they’ll catch your eye. Looking at the upper and lower shelves can help you find the best deal. Stores also stock from the back, putting newer things behind the older ones. Grabbing from the back gets you fresher food with better expiration dates, so your food will be good for longer. Many stores have their own brands of items, and in most cases, you’ll get the exact same or very similar thing at a much better price. Reading the nutrition label can tell you a lot about what’s in a food, if it’s good for you, and help you choose between brands. Some things might seem good for you until you check the serving size. Sometimes the serving size is much smaller than what you’d actually eat in a sitting, which makes the numbers on the label look better. Unit price tells you how much something costs per pound, ounce, quart, or other unit of measure. It can tell you which brands are the most affordable. This guide can help you read or calculate unit price. Whether it’s on your phone or you bring a small calculator along to the store, having one on hand can make it easy to compare labels and costs. Learn how to read and make sense of nutrition labels to get the most out of your food. 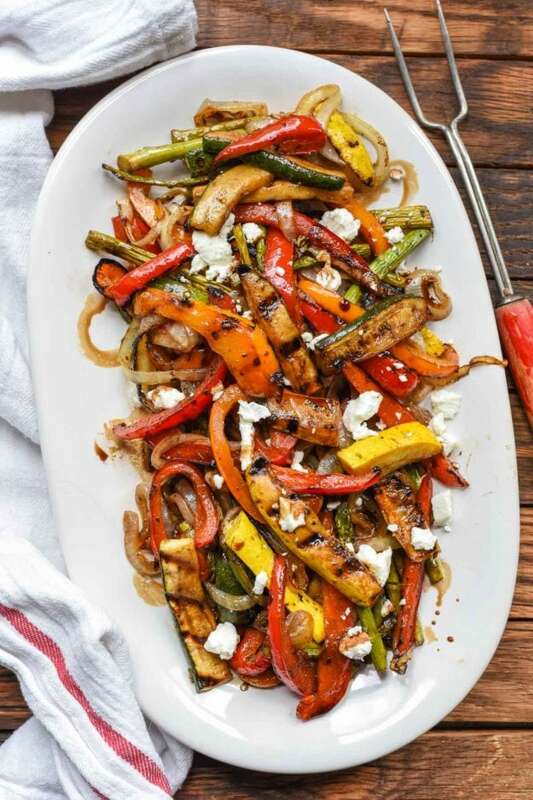 This week in food, we featured spring salads that will help you use all those in-season spring and summer veggies. 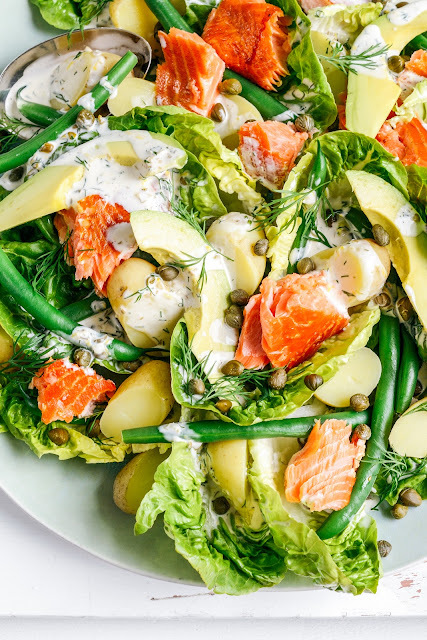 First up is the Salmon Summer Loving All-In Salad that’s truly an all-in-one meal. 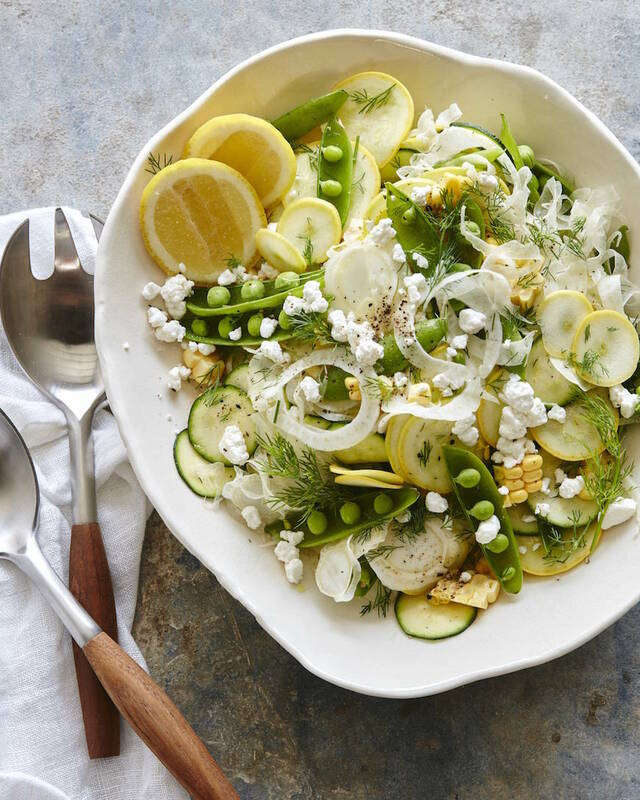 Whip up this Salad with Peas, Potatoes, Shallots, and Creamy Dill Dressing for an appetizer. 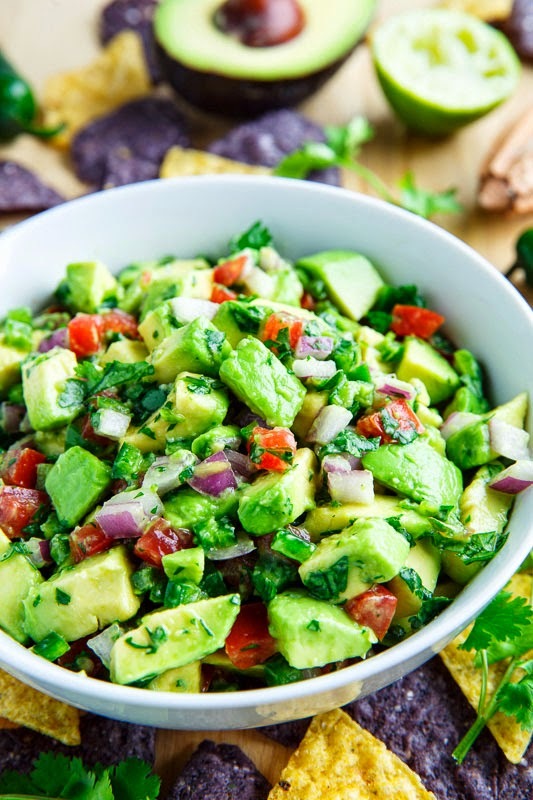 Use up all the veggies in your fridge with this light and easy Raw Summer Salad. Make unique Chili Lime Cucumber Noodles on Salted Watermelon with Mint and Basil. This Green Salad with Edible Flowers is the perfect way to wow dinner guests. Try Shredded Brussels Sprouts and Vegetable Salad with Garlicky Orange Tahini Dressing. This Kale Citrus Salad is the perfect balance of sweet, fresh, and sour.